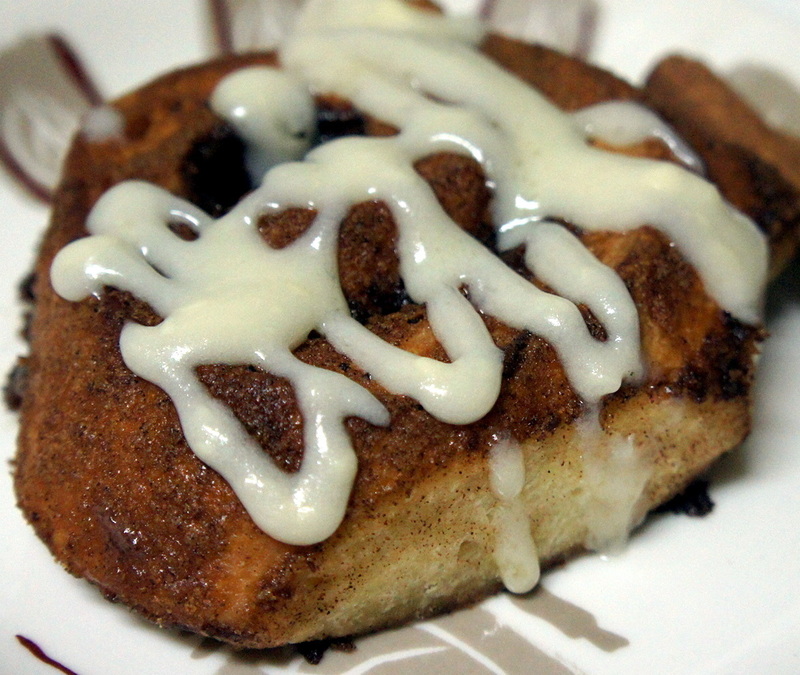 Who can say “no” to cinnamon rolls? Ooey, Gooey and super sticky brown sugar fillings with cream cheese icing on top! ahhh! These used to be my staple when I was in university! I would order a chocolate chip cinnamon bun from the famous Blue Chips after my meals. I was pretty much a cinnamon bun addict. And we wonder why so many students put on the notorious Freshman 15…. Heat the milk in a small saucepan until it bubbles, then remove from heat. 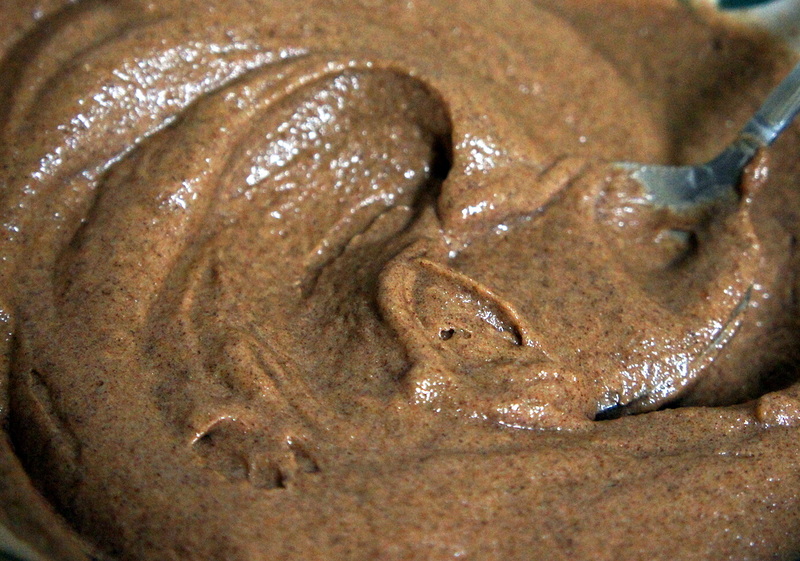 Mix in margarine and butter; stir until melted. Let cool until lukewarm. In a large mixing bowl, sift together 2 1/4 cup flour, yeast, sugar and salt, mixing well. Add water, egg and the milk mixture; beat well. Add the remaining flour, 1/2 cup at a time, stirring well after each addition. When the dough has just pulled together, turn it out onto a lightly floured surface and knead until smooth, about 5 minutes. Roll out dough into a 12×9 inch rectangle. Spread dough with filling. Sprinkle with pecans if desired. Roll up dough and pinch seam to seal. Cut into 12 equal size rolls and place cut side up in a pan. Cover and let rise until doubled, about 30 minutes. Preheat oven to 375 degrees F.
Bake in the preheated oven for 20 minutes, or until browned. Add cream cheese frosting on top. Serve warm. BAM! Slather it on top! 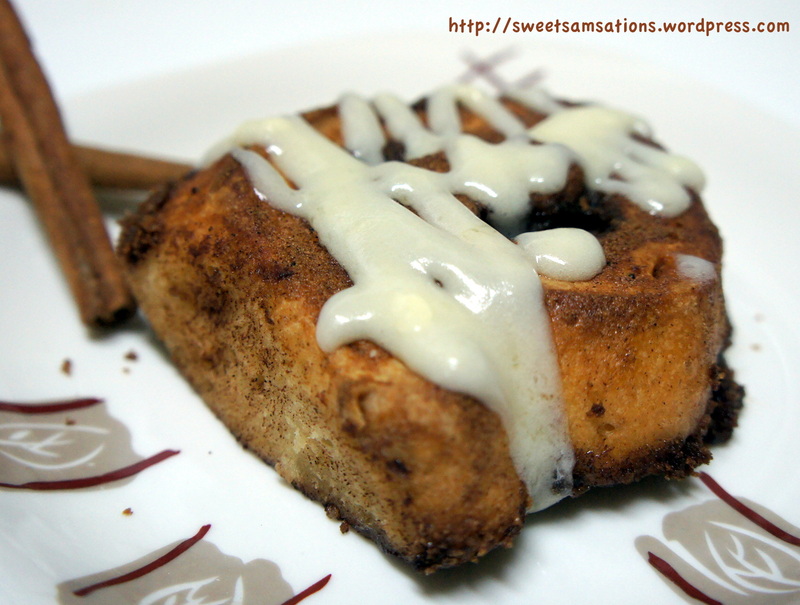 If you are a Cinnamon Roll virgin, I urge you to try this recipe out! Slightly crispy on the outside and extra soft on the inside! The sweetness is just perfect. I can imagine how well some pecan nuts would go with this too!! I love cinnamon rolls! I can eat a lot of them in one sitting. Ohm… I just love LOVE those! Thanks for making me hungry! You lost me at yeast. I am soooooooooooo scared of trying to make a recipe with yeast. Every week I say I’m going to do it and the week comes and goes and no yeast dish. 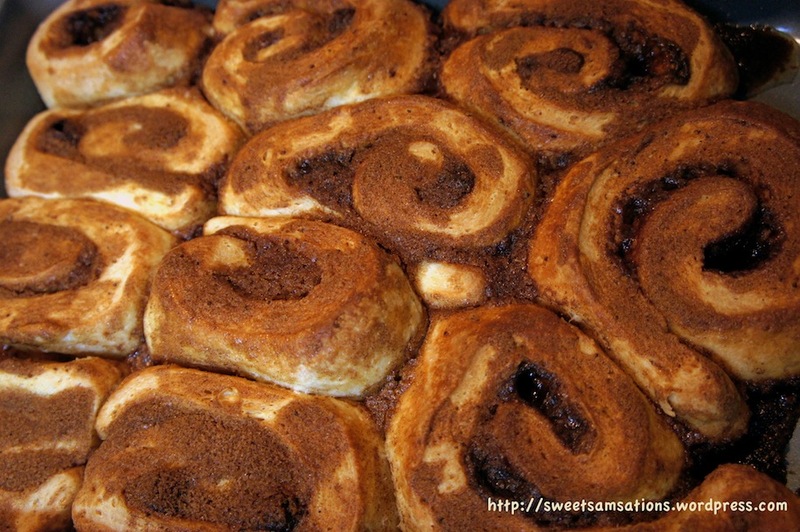 These cinnamon rolls look very delicious. I could eat about 5 at a time. Nicely done Sam! You have to experiment with yeast!! I promise it’s not as scary as it sounds!! Thanks Tia!! 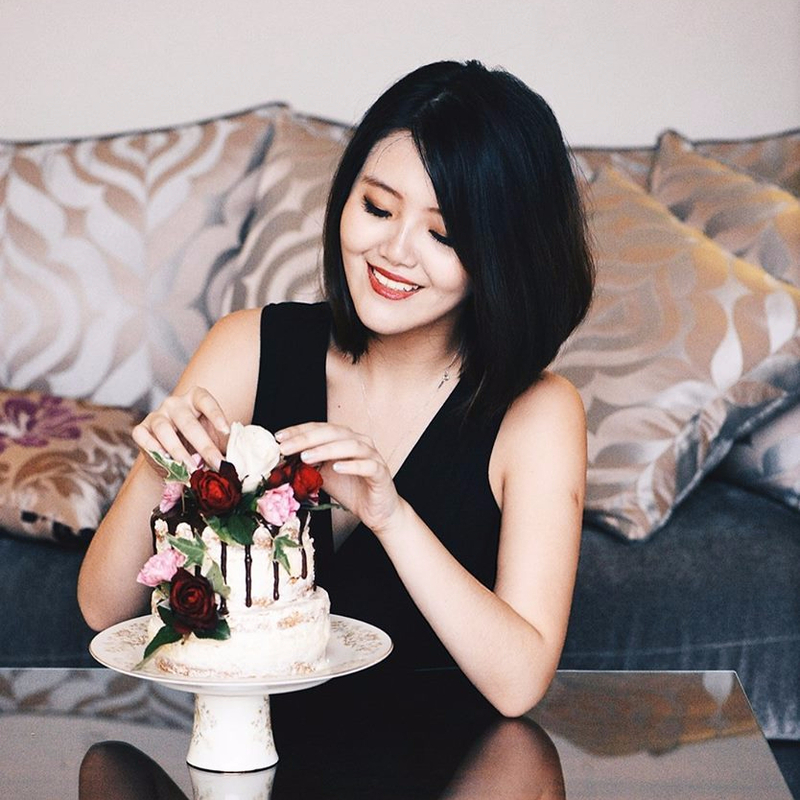 I’m going to look forward to seeing you venture into the world of fermentation on your blog now!! I really enjoy your blog so I’ve awarded you a Leibster award, you can see it here…http://wp.me/p1YBE8-5R Congratulations! It is WORTH it, isn’t it? 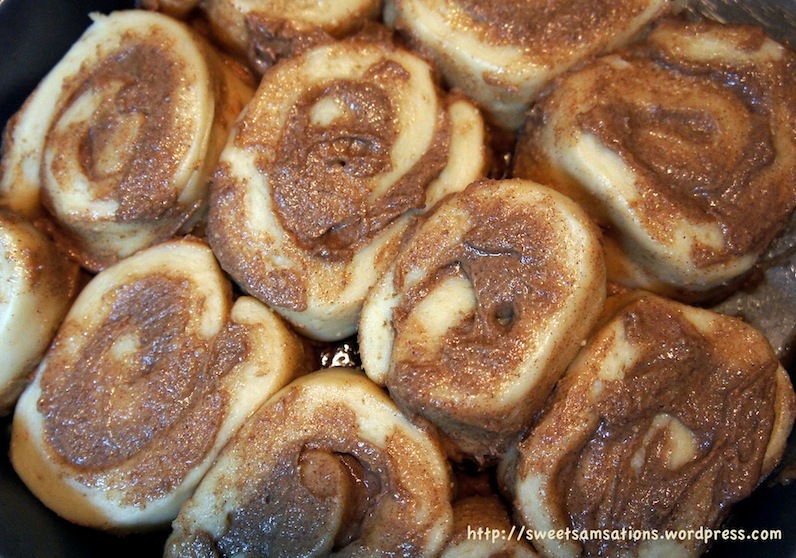 I love homemade cinnamon rolls. Nice job Sammie! Thank you Yudith! 🙂 Homemade are the best!